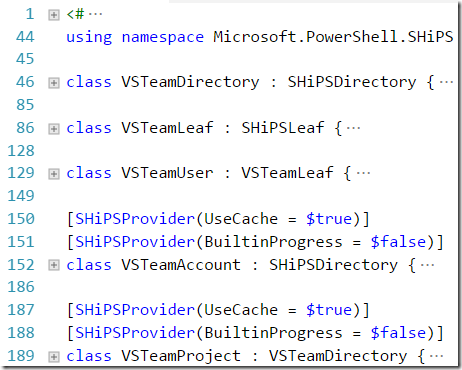 VSTeam uses SHiPS to create a PowerShell provider. 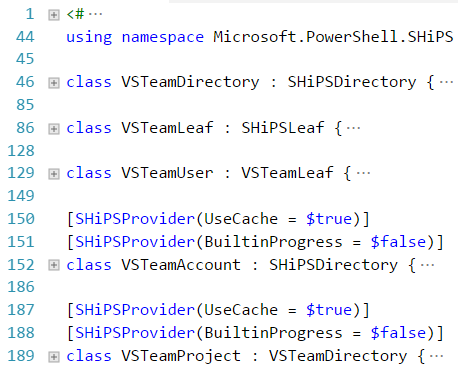 Each time I work with the classes I see red squiggles under the types provided by SHiPS. If you hover your mouse over the code you see the type could not be found. One way that I found (with the help of Steven Murawski of the League) to load the types is to start an interactive console debug session and import the modules that contain the types. With the debug session running import the module. Now you can stop your debug session and close and re-open any files showing red squiggles and they should be gone. 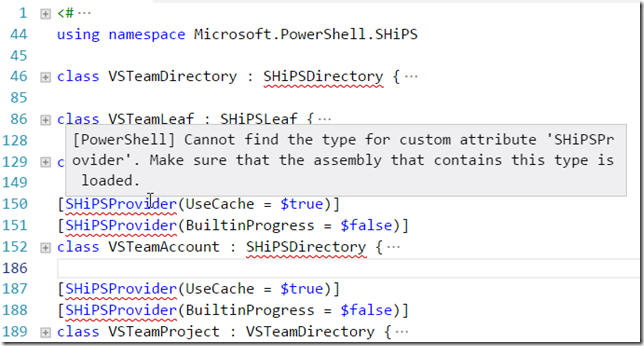 In this post I show you how to write a util function and load with each PowerShell session. 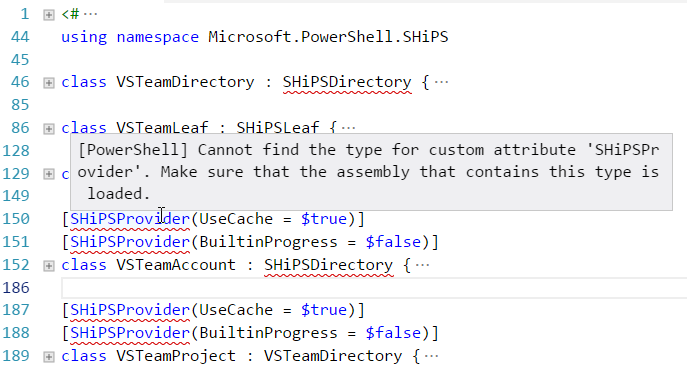 This is great but even greater would be that VSCode could resolve types as with ISE - hope we will get there eventually.